Shaw Electric was one of the first electrical contracting firms in the area to put the techniques of design-build methodology into practice—more than 40 years ago. Today, we still utilize the same philosophy to guarantee that our customers receive the best possible electrical design for their needs and budget. With our design-build process, which we also call our “integrated service process,” we sit down at the same table with the owners, architects, and general contractor to determine the priorities for the building design. This allows us to create the most accurate, clean designs possible. Later, we handle all of the installation as well, giving you a better product—with fewer change orders. By applying our time-tested techniques for value engineering, we ensure that you don’t spend unnecessary money in a particular aspect of design. 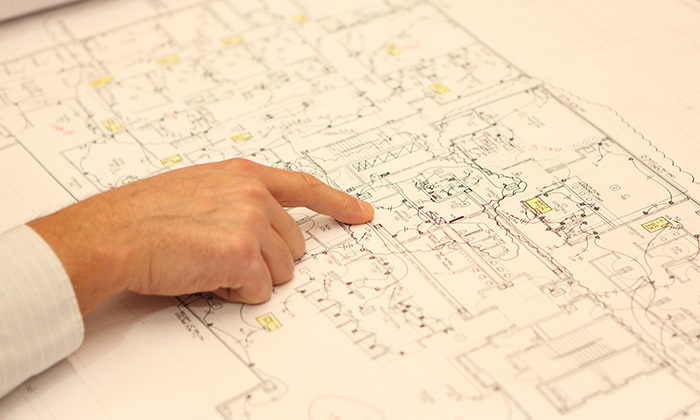 And our robust process makes our designs as accurate as possible by putting us at the same table as your entire team, including owner, architect, general contractor, and even mechanical and plumbing engineers.